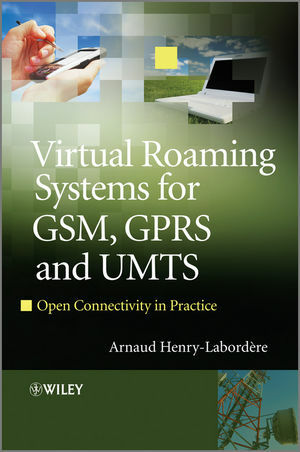 Written by a pioneer in the field, this book focuses on the implementation of virtual roaming systems. It generalizes the previous SS7 SMS interworking architectures to voice and data, GPRS, and 3G virtual roaming; extending the discussion of virtual roaming to include location based services, optimal routing and 4G perspectives. The author provides a thorough and detailed technical explanation of the topic covering subjects such as ‘Over the Air’ (OTA) provisioning and detailed geo-localisation systems in a virtual roaming environment. Finally, this book addresses the application of MAP, CAMEL, TCAP, SCCP, and GTP. This book will serve as an invaluable reference for network and networking engineers, handset developers, systems implementers, systems integrators, systems software engineers and programmers, wireless specialists and anybody else seeking a comprehensive and practical guide to the basics of virtual roaming systems. Arnaud Henry-Labordere received his Engineering degree from école Centrale de Paris in 1966 and his Ph.D in Mathematics in 1968. He is currently Professor Emeritus of Operations Research at the Ecole Nationale des Ponts et Chaussées, Paris, where he started his teaching career as Associate Professor in Optimization and Mathematical Programming.